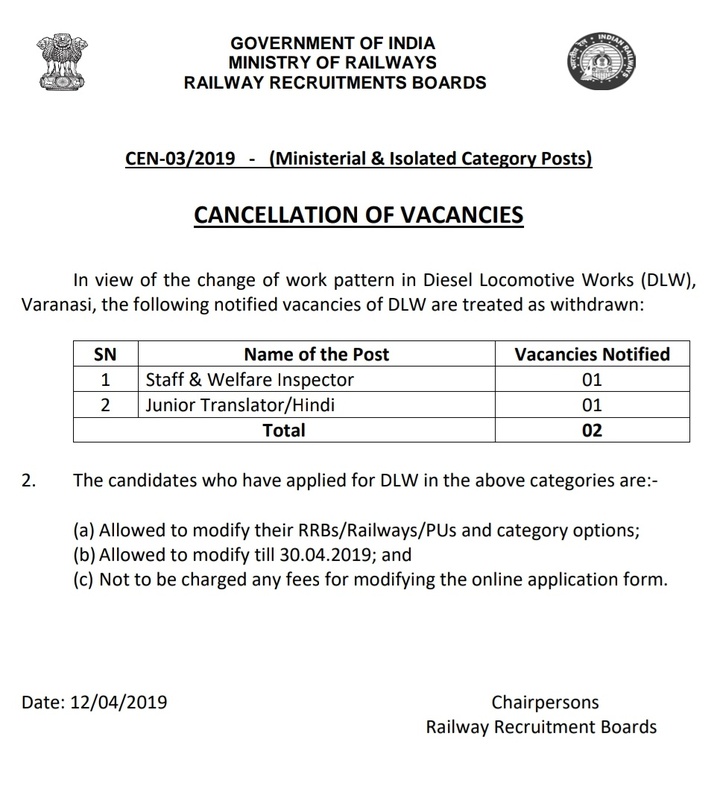 RRB has released a notice regarding cancellation of vacancy in the department of Diesel Locomotive Works in Varanasi. Vacancies are now reduced to 1663, earlier it was 1665. 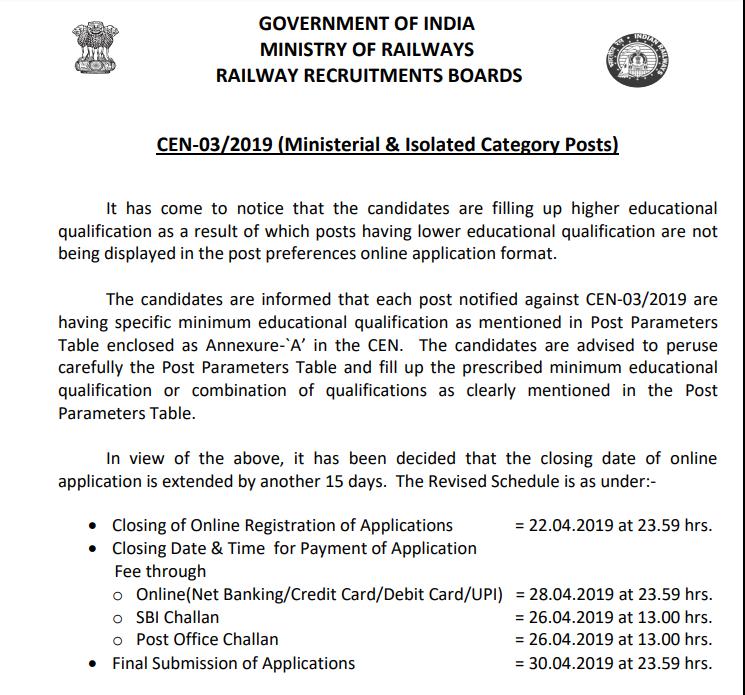 RRB had released a notification on 8th March 2019, where they had invited applications from eligible candidates for various posts of Ministerial and Isolated Categories in various Zonal Railways and Production Units of Indian Railways with a total of 1663 vacancies. Final submission of Applications 30.04.2019 at 23.59 hrs. Document verification and medical examination. 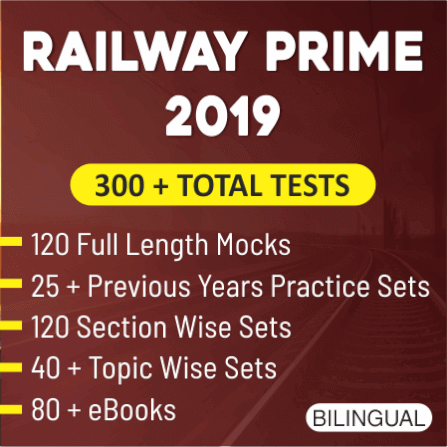 The Question Paper for Single Stage CBT will be of 90 minutes duration for 100 Multiple Choice questions and 120 minutes for PwBD candidates who are availing the Scribe facility. 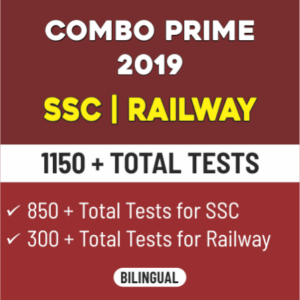 All the candidates will have to attempt Part I & II (both the subjects) compulsorily. There shall be a single composite paper for both the subjects. Candidates will be required to qualify in each of the two subjects separately. Out of this fee of Rs.500/-, an amount of Rs.400/- shall be refunded duly deducting bank charges, on appearing in First Stage CBT. This fee of Rs.250/- shall be refunded duly deducting bank charges, on appearing in First Stage CBT.